We saw the phenomenon (or at least reports of it) last month, when A’s pitcher Ben Sheets went through a stretch in which he gave up 17 runs in seven-plus innings over the course of two starts. Once he emerged from the mini-slump, there were reports that his problem had stemmed from the fact that he did something to give away his curveball before throwing it. Sheets insisted that his problem was strictly mechanical; either way, he fixed it fairly quickly. 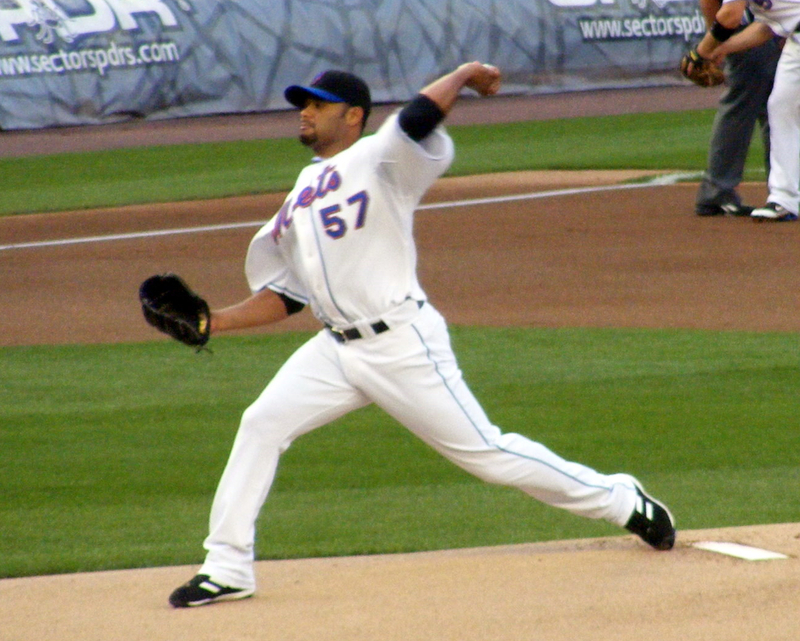 This week, however, another tale of a tell has surfaced—this time with Johan Santana. Writes Bob Klapich in the Bergen Record, the Mets’ ace was unknowingly tipping his devastating changeup, which cost him dearly against the Twins, who elicited 41 first-inning pitches while swinging and missing at exactly one pitch. They scored five runs in six innings against him. Once they caught on, the Mets instructed Santana to lower his glove to belt level, which better hid his pre-pitch mechanics. The results: In Santana’s most recent start he threw a complete-game, three-hit shutout against the powerful Reds, and has given up only one run given up over his last 16 innings. Pitchers don’t generally like to talk about (or admit to) any tells they might suffer, but even though Santana’s silence, it’s incredible how much difference one small adjustment can make. Greg Maddux was the master at not tipping pitches. He could probably instruct on just that if he gets bored in retirement. It would be interesting to know, how much better a hitter was if he knew which kind of pitch was coming. Seems like from the dreadful pitching statistics, it’s a pretty sizable advantage. Although some guys don’t want to know what’s coming, most hitters are far, far better when they’re tipped to upcoming pitches — either type, location or both. Hank Greenberg said he was the best hitter in the world when he knew what was coming. Mickey Mantle hit many a home run off a tip from Bob Turley, who could recognize pitchers’ tells from the dugout. The danger is in somebody getting it wrong, and looking for a curveball away when a fastball is coming up and in. Other guys simply want to let their instincts take over, and some — slap hitter particularly — realize that if they know what’s coming, they might try to muscle up on a ball and end up hitting it only to the warning track. It’s all enough to deter some people from wanting to receive stolen signs . . . but not many.